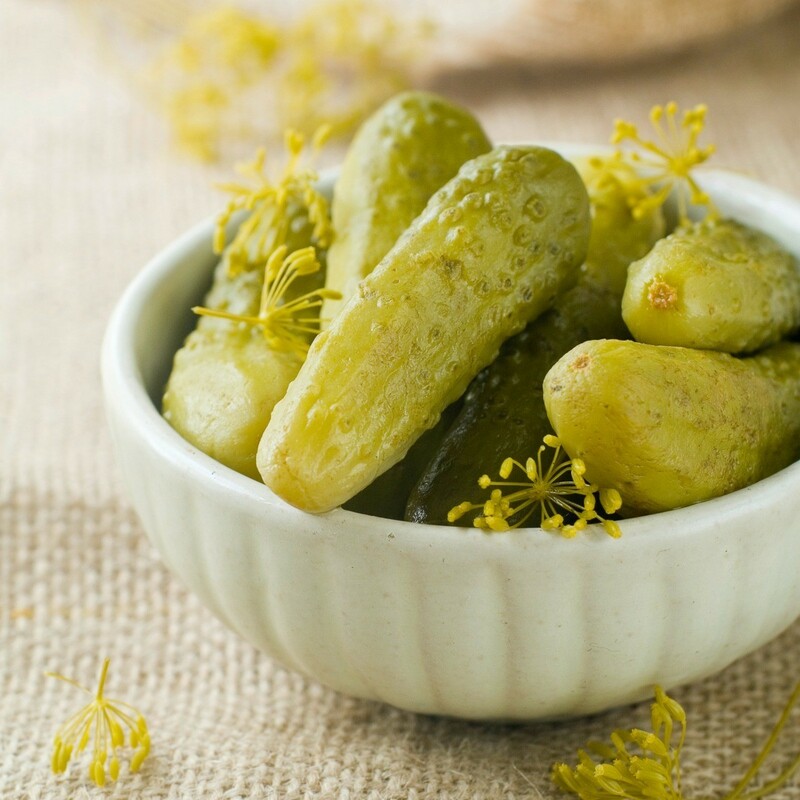 Homemade pickles are an easy to make family favorite. 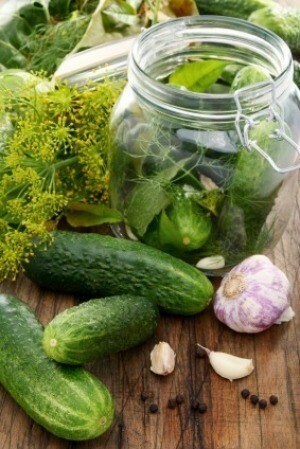 This is a guide about making homemade pickles. When you are done with the pickles in a jar (the cold variety), save the liquid. 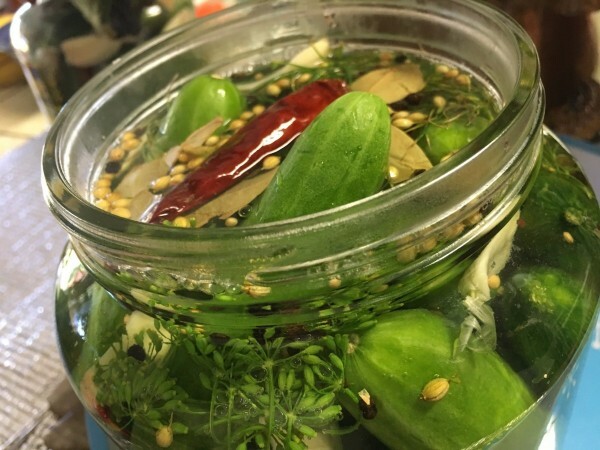 You can buy pickling cucumbers at the market, cut them up the way you like, and put back into the mix. In 3 or 4 days, you will have some good tasting new pickles. You can add more vinegar or hot pepper flakes if you want it a little more spicy. I love dill pickles, especially in the summertime, but I like to be able to control how much sodium I take in. Give my recipe a try! Combine the vinegar, salt and sugar in a saucepan over high heat. Whisk until the salt and sugar are dissolved. 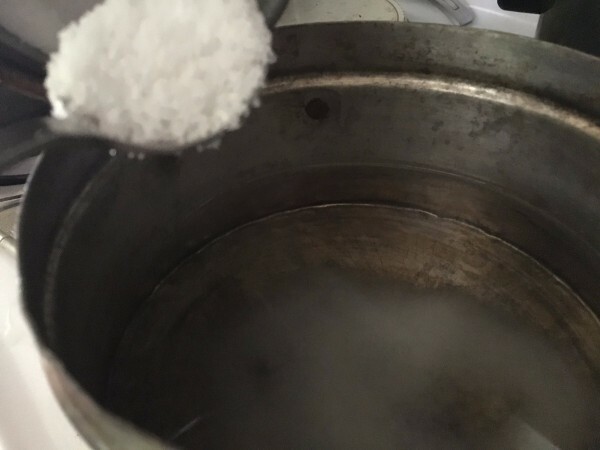 Transfer to a bowl and mix in the cold water. Refrigerate brine until ready to use. Stuff the cucumbers into two sterilized 1 quart jars. Add the remaining ingredients, dividing equally. Add the chilled brine to jars, dividing evenly. 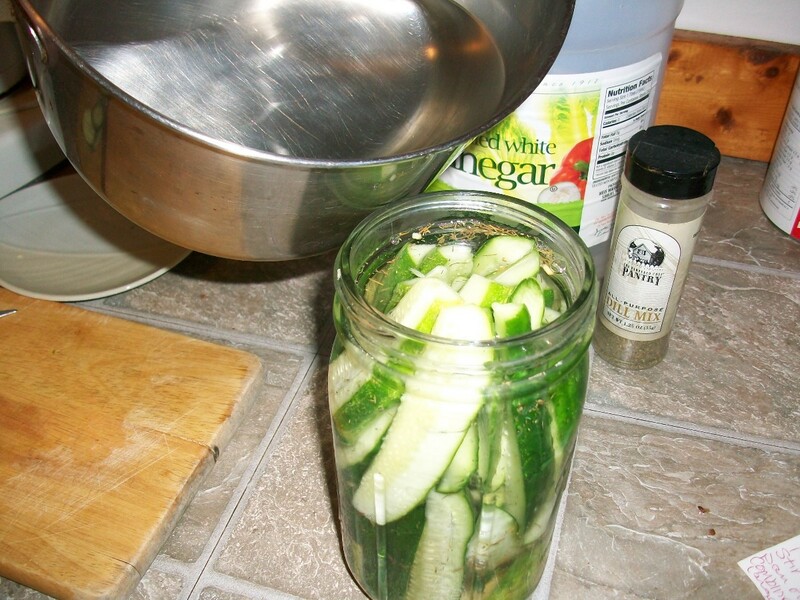 If necessary, add a bit of cold water to the jars until the brine covers the cucumbers. Secure top with a piece of plastic wrap, then screw on the lid. Keep in a cool area for a couple weeks. You can tell by the colour when it's ready to enjoy. My wonderful mother-in-law, Lavon, gave me two cucumbers from her garden. Forgetting these were not genetically mutated supermarket cucumbers, I put them in the crisper drawer and forgot about them for a couple days. Very easy to make, refreshing to eat and pairs perfectly as a side dish to your main meal. What do you add to canning pickles to stop them from getting mushy? Also, does anyone have a recipe to can pickles using less salt? Hope someone can help. I canned a batch of pickles last year following a recipe. The taste was great, but they were all mushy inside. My mother made several different types of pickles for many years and never had any problems with them. 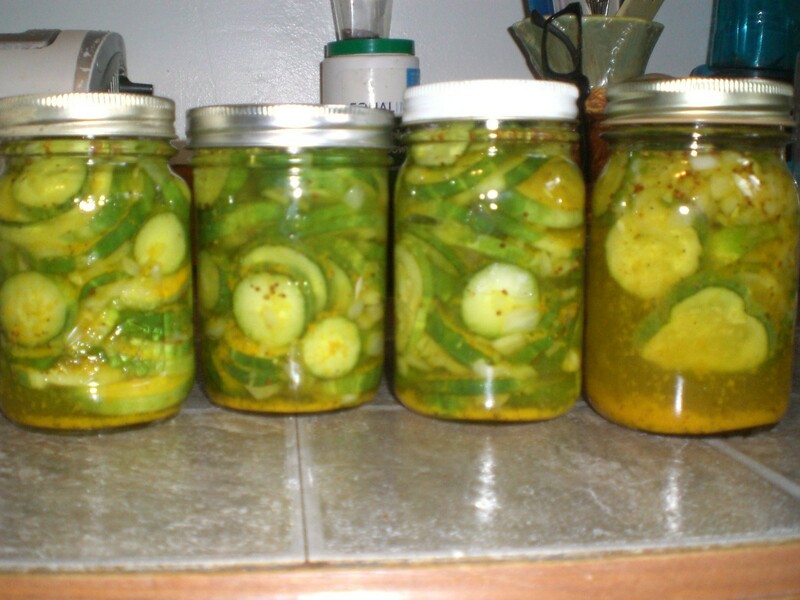 I also used the same recipes and made pickles for many years and always had really good luck with them. I wonder if it depends on the recipe, because my former mother-in-law never made really good pickles, using her family recipes. I never had a problem, as long as I used a recipe that called for soaking them in alum; a lot of 'old' recipes for pickles have this step. Good luck! I always put them in ice and salt for at least a few hours then drain and cook - do not put too many batches in the same pot to cook - it takes too long for them to all get hot. I had one batch get mushy this way. I keep these in my refrigerator all the time. We love them. Wash cucumbers well, but do not peel. Cut off and discard ends; cut cucumbers crosswise into 1/3 inch-thick slices. You should have about 6 cups. In a large bowl, combine cucumbers, bell pepper and onion. Sprinkle in salt and dill seeds; stir well. Let stand, uncovered, for 1 to 2 hours; stir occasionally. Stir together sugar and vinegar until sugar is dissolved, then pour over vegetables and mix gently. Spoon into glass or ceramic containers. Cover and refrigerate for at least 1 day or up to 3 weeks. Peel 15 large cucumbers (a good way to use up those that are large and seedy). Slice 1/4 to 1/2 inch thick and remove seeds. A spoon works well for this step. Place cucumber slices in a crock. Mix together 8 1/2 quarts of water and 2 cups of pickling lime. Pour over cucumbers to cover. Let set for 24 hours. Drain and wash in cold water. Cover with fresh cold water and let stand for 3 hours. Drain. Place in large pan and add 1 cup vinegar, 3 cups water, 1 Tablespoon alum and 1 bottle red or green food coloring. Heat and simmer for two hours.Do not let them boil. If they reach the boiling point, lower the heat until the bubbles almost stop. Drain and return to the crock. Mix together and bring to a boil: 2 cups vinegar, 2 cups water, 10 cups sugar and 1/2 teaspoon of oil of cinnamon. When mixture is boiling, pour over rings in the crock. Cover and let stand for 24 hours. Drain syrup into pan and reheat to boiling. Pour back over rings and cover. Repeat for 3 more days. On the last day, while your syrup is reheating, place the pickle rings into sterilized jars. When syrup is boiling, pour over pickles in jars and seal. This is a delicious pretty pickle for the Christmas holidays or for any meal. And even people who don't like pickles will like these. They are very crisp and crunchy. Peel the onions and place them in a colander, sprinkling each layer generously with salt. Leave them overnight - stand the colander in the sink so that the water and salt can drain away. Strain the vinegar to remove the spices. Pack the drained onions into clean jars and pour in enough of the spiced vinegar to cover them. You can put one or two of the chilis in the jar with the onions if you like them VERY fiery! Seal and label the jars of onions. Put any remaining vinegar into a sealed bottle and keep it for making chutney or for the next batch of onions! 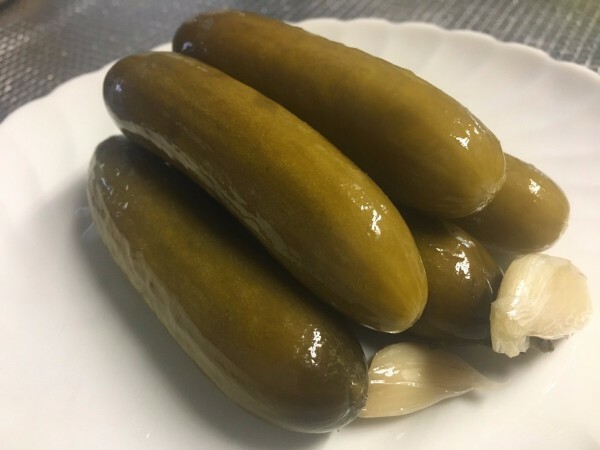 I haven't given any quantities for the ingredients, because it depends on how fiery/spicy you like your pickles and how big your batch of onions is. As a guide, for two litres of vinegar I'd use about two inches of ginger, thirty or so peppercorns, two tablespoons of coriander seeds, six or seven cloves, five or six small nuclear-power chilis, two tablespoons of mustard seeds... you can also pickle onions without the spices, but you must still boil the vinegar otherwise the pickle will go off. You can use hot vinegar to pickle onions, but this makes the onions go soft. I prefer them pickled cold and crisp! Thoroughly wash and salt 1/2 pound of fresh ginger root. Let it stand for a day, then wash again and place in a marinade made of 1 cup rice vinegar, 7 Tbs. water, and 2 1/2 tsp. Sugar. Allow the ginger to marinate for 1 week. It will turn pink. Drained, covered and refrigerated. It will keep for months. It is sliced thin to be served with sushi. Reserve the juice. Slice the beets. Place them in a fruit jar. Pour these ingredients over the beets. Cover the far. Serve the beets very cold. This recipe came from my copy of Joy of Cooking, and I hope it meets your needs. My son likes the baby pickled corn - but it's kinda high - so I thought I'd pull one over on him & got a can of plain baby corn from the ethnic isle at the store & put them in the pickling in the same jar - it sat a few days (good thing - it's better that way!) & when he got them out & tried them he didn't realize or seem to - the difference ! I've seen my spouse make pickled eggs & also he cuts wieners up & pickles them too ! but I have never made any of it - so a "how to" would be apprieciated on any of the above ! I am looking for a green pepper pickle called Slippery Jack Pickles. It also has cucumbers and onions and are sweet. I am desperately looking for a chunk pickle recipe that we lost in a move. It has cinnamon (not sticks), sugar, vinegar and I remember cutting in big chunks. No food coloring either. This is a recipe my husbands mom used and made just for him. Any help would be appreciated. I am looking for pickle recipes. I'm growing cucumbers in my garden for first time this year and am very excited about being able to make pickles! I have heard it is difficult to get a crunchy good tasting pickle, so if anyone has any recipes please send them my way! Thank you in advance! I have a question about making dill pickles. Some of my jars stay real clear while others get this milky substance on the bottom of the jars. Is this just fermentation and is is safe to eat them? I checked with my Kerr Home Canning Book. It said " This occurs in dills which have gone though a mild fermentation and the white sedement is due to bacteria that caused the fermention. 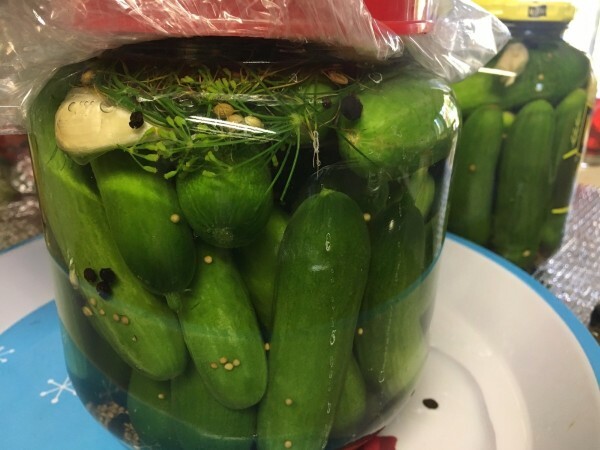 The sediment is not harmful and will in no way affect the pickles." I checked with my Kerr Home Canning Book. 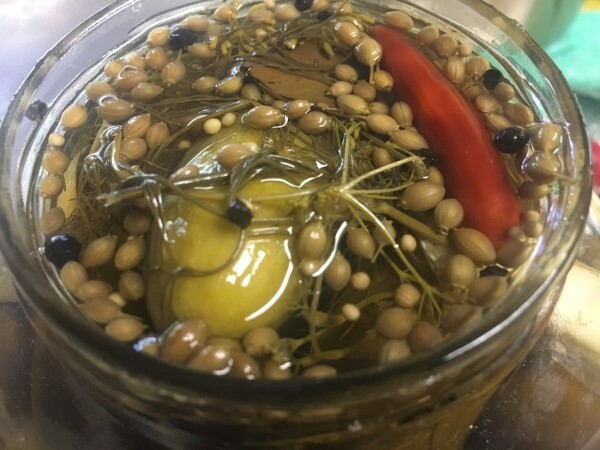 It said "This occurs in dills whichs have gone though a mild fermentation and the white sediment is due to bacteria that caused the fermentation. 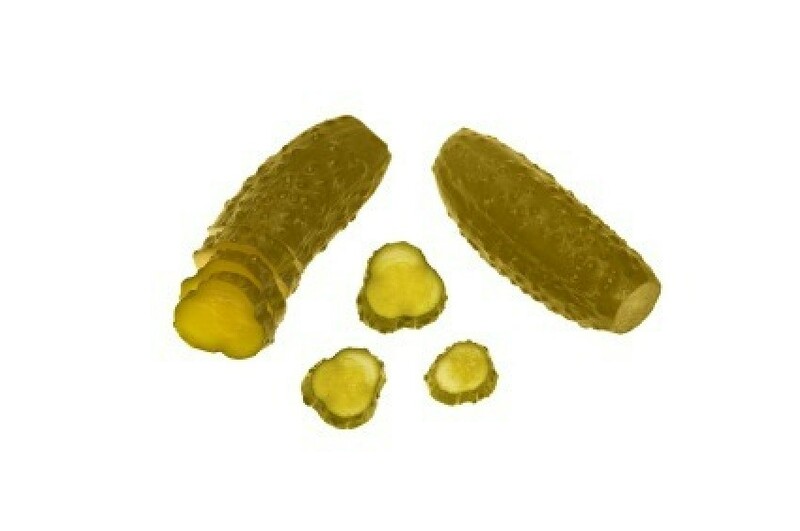 The sediment is not harmful and will in no way affect the pickles." My cucumbers have a bitter skin on them. Can I still use them to make pickles? I need some good simple pickle recipes. Thanks. I am looking for a recipe for half sour pickles. 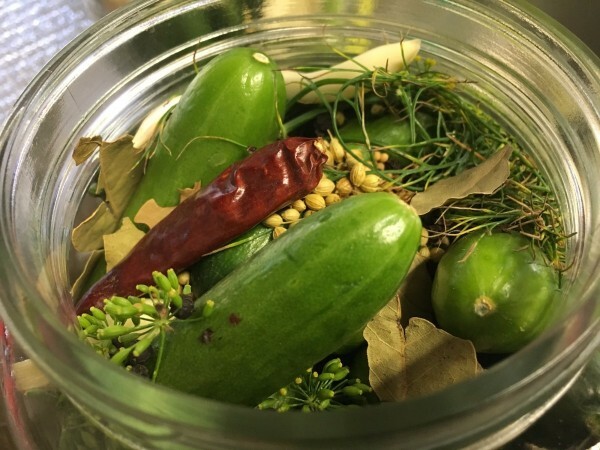 A simple pickle recipe that is refrigerated instead of sealed and stored by canning. This is a guide about sweet and sour refrigerator pickles. This is a guide about making refrigerator dill pickles. A great way to preserve your garden's bounty through the winter. This is a guide about making sunshine dill pickles. Sunshine pickles are actually processed by placing the jars in the sun for a number of days. 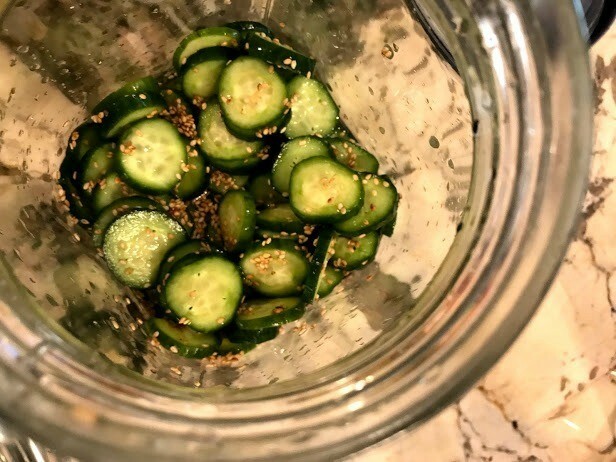 This page contains sweet pickle recipes. 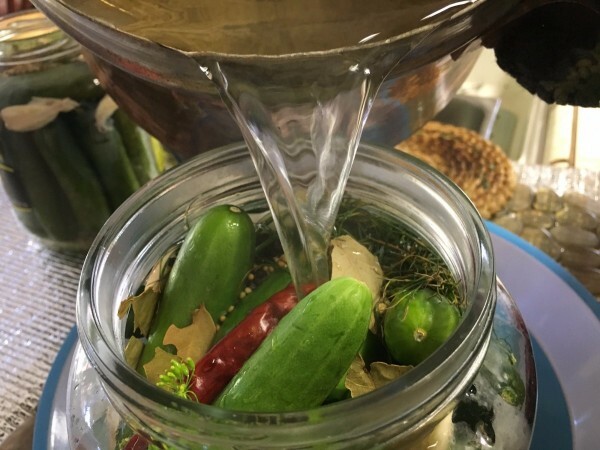 When cucumbers are ripe the best way to preserve them is pickling. This page contains dill pickle recipes. 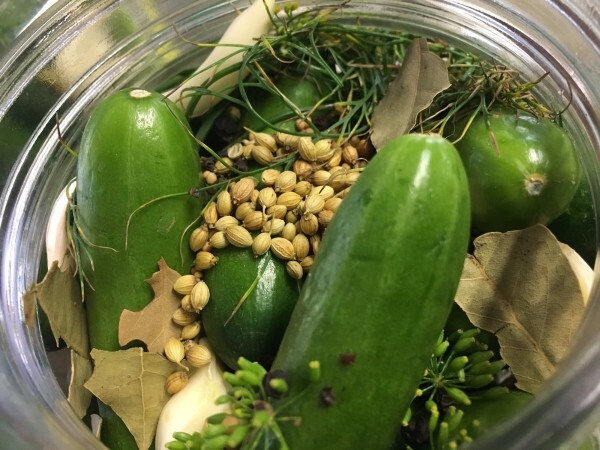 When the huge harvest of cucumbers comes in, make your own dill pickles. 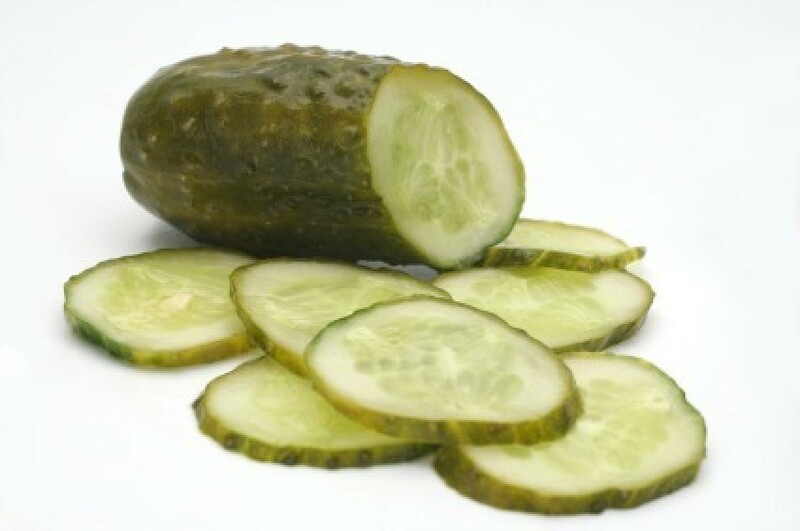 Why should cucumbers be soaked in water overnight before making them into pickles? I planted a bunch of regular cucumbers, not realizing you might need to use only pickling cucumbers for making pickles. Can I use regular cucumbers and just pick them when they are pickle sized?